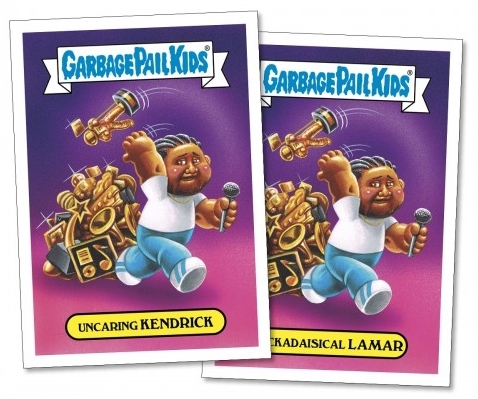 Revealed a few days before the actual event, 2017 Topps Garbage Pail Kids Empty-V Awards gives several headline performers from the MTV Video Music Awards a light-hearted makeover. 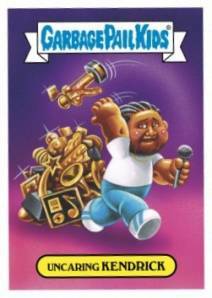 The parody set for the VMAs consists of two themed cards per subject. 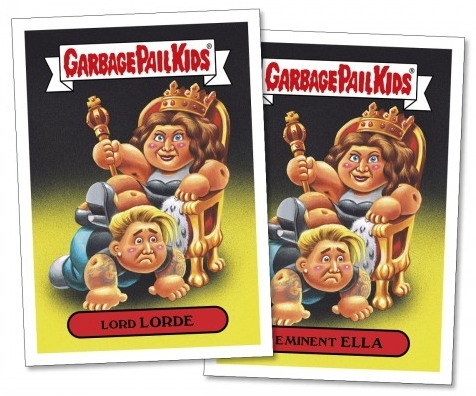 Covering several genres, artists in the 2017 Topps Garbage Pail Kids Empty-V Awards set include Ed Sheeran, Jared Leto, Katy Perry, Kendrick Lamar, Lorde and Miley Cyrus. 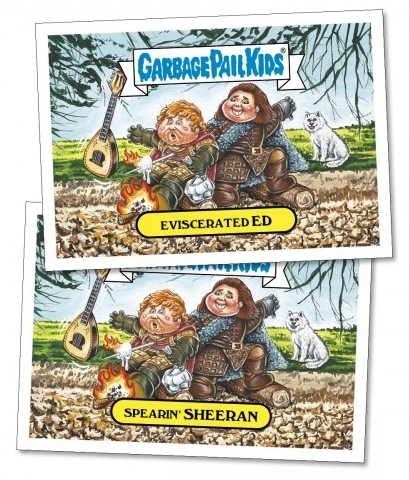 Collectors will likely recognize the familiar GPK format as every subject receives two card titles using the same image, giving the online-exclusive set a total of 12 stickers. Collectors can purchase individual subjects—containing both A and B title cards—for $9.99, or as a full set with all twelve cards for $29.99. 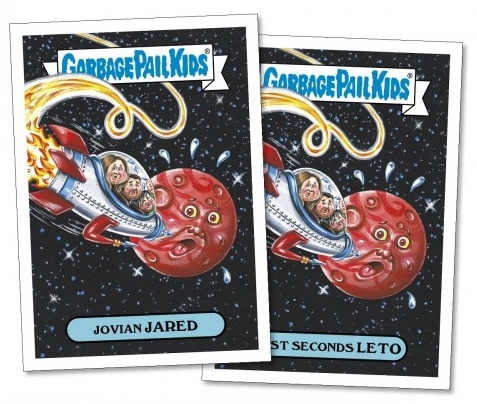 The stickers are issued directly through the Topps Online Store until the sale concludes on August 31. 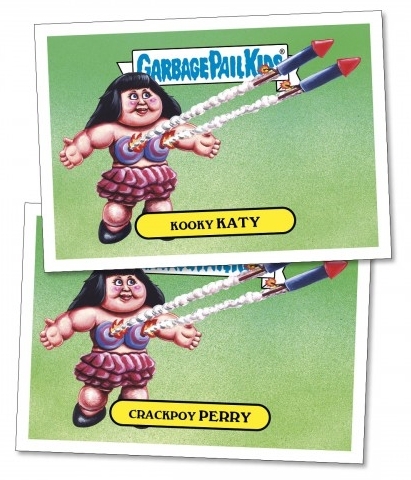 Since 2017 Topps Garbage Pail Kids Empty-V Awards is an on-demand set, the overall production is limited to the number ordered during the sales period. After that, the final print runs will be announced. 12 cards. Shop for Empty-V Awards cards at Topps. 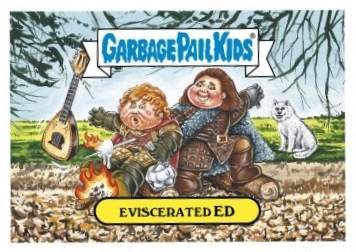 View other music-related cards from Garbage Pail Kids with our detailed guides.